Or read a quick 'How-to' below. Download UI Gradients Styles for Sketch and un-zip it. Simple. Open uigradients.sketch in Sketch. No brainer. Save it as a template so you could enjoy styles and custom gradients in your mockups. Go to File 〉Save Template... as and save it as uigradients. Easy. 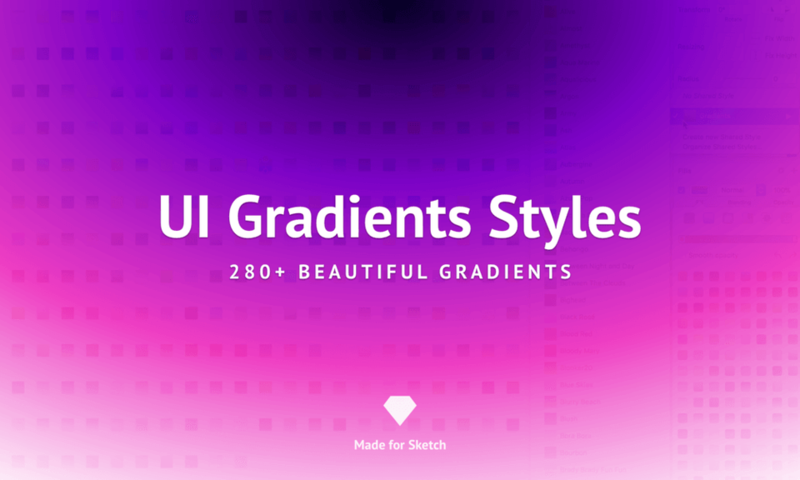 Create new Sketch file with all awesome 280+ UI gradients embedded. All done. Now you can apply the styles or choose from the custom fills. Gradient away & spread the word!